The Penny Arcade Expo has decided to make a fourth installment of their PAX events and are placing it down in the heart of Texas. 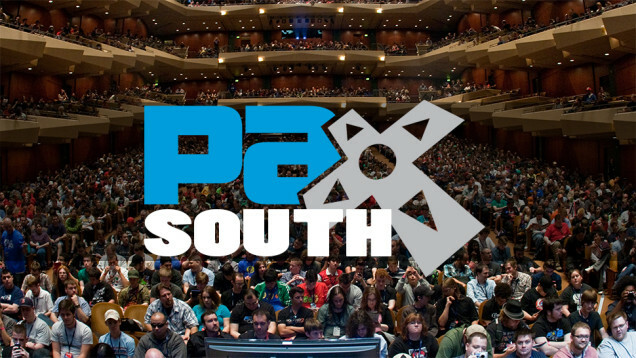 PAX South will be joining PAX Prime, East, Aus and Dev and will be located in San Antonio TX., my home town. As a southern Texan, I've always found it difficult and have been unable to attend the other PAX events, now I can just jump on a bus and walk a few blocks to finally have that taste I have been craving; but what about the other southern people? Many have been complaining that San Antonio isn't a "real city" and the PAX event should move to another location, San Antonio is the seventh largest city in the US, one of the fastest in growth, and has attracted attention from some major companies which include Google, Microsoft and Rackspace. San Antonio may not be "huge" right now, but in a few years we may be the biggest in the south, so it makes sense to place an event in a booming city. "Since its launch in 2004, PAX events have doubled in size almost every year, and our Seattle and Boston events represent the two largest gaming festivals in North America. We've been hearing for years that those in the south had a tough time making it to the northern corners of the country; PAX South has always been a matter of 'when' rather than 'if.'" So to all you southern sinners, I hope I'm able to meet some of you! PAX South is slated for January 23-25 2015 and will be at the Henry B. Gonzalez Convention Center, just near the Riverwalk.